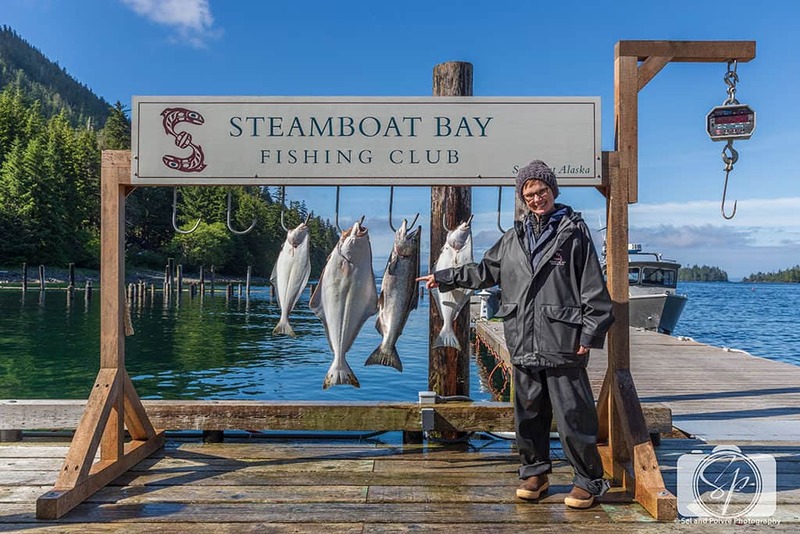 Now that you’ve read all about my Alaskan fishing adventures at Steamboat Bay…wait? What? Didn’t you read them? Well, get over there stat so you know what the heck I’m talking about! Now that you’ve read all my about my Alaskan fishing adventures I want to share with you what you should pack for a similar trip. That way you can avoid some of the mistakes I made and be perfectly prepared for your own Alaskan fishing trip. Because believe you me, you need to do one at least once in your lifetime! 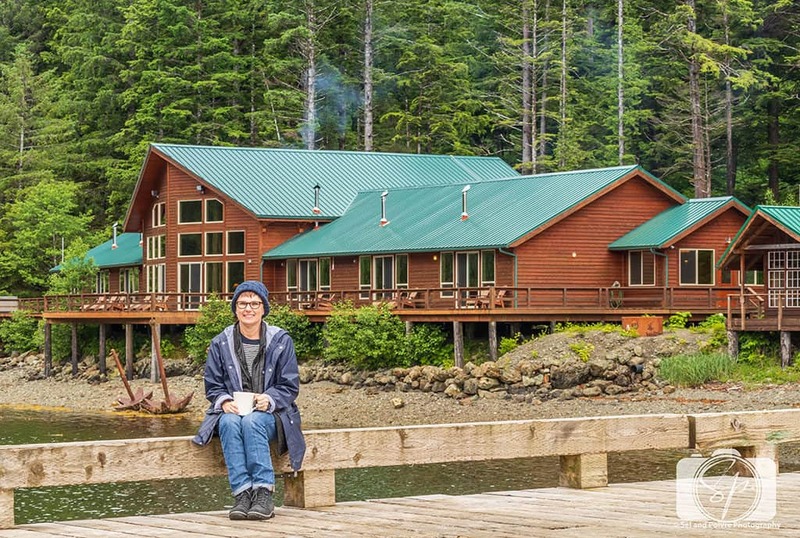 When you go to a fishing lodge or resort the focus is on fishing. So absolutely everything you need to fish will be provided for you. And I’m not just talking rods, reels and bait, but also the all-weather suits, including pants (or bib overalls), hooded jackets, and traditional XtraTuf neoprene boots, (an Alaska mainstay, these boots were mentioned a couple of times in the book I read prior to my own trip, Tip of the Iceberg: My 3,000-Mile Journey Around Wild Alaska by Mark Adams). Me in my all-weather gear! Because all this gear is provided for you, and you’ll be in it 70% of your day, your packing shouldn’t be as heavy as you’d think. Here are the things I found useful, along with what I forgot and you will find useful on your own trip! I was fishing at the end of June/beginning of July. The weather in Alaska changes on a dime, so while the mornings can be a bit on the chilly side, the afternoons can be gorgeous. But you are still only looking at a high of 65-70 and on the open sea there is usually always wind, so despite having a baseball hat, I ended up wearing one of two ski hats that I brought. This kept my head warm and if some rain passed through, I just threw up my jacket hood to keep it dry. Me and my trusty Ecco boots at Steamboat Bay Lodge. In an effort to pack lightly, I only brought one pair of shoes, my trusty Ecco Gora GTX Hiking Boot (in black). They are great boots, but I wore the XtraTuf neoprene boots all day, so at night in the lodge, they weren’t the perfect show for relaxing. Truth be told, I went without shoes but would have been better served with a pair of slip-on shoes. You are only wearing them at meals and to walk to the wet room to get into your gear, so a slip-on is perfect! This is a mistake I urge you not to repeat. This all worked out well except I was missing 1 thing. I did not need to wear jeans while fishing. I would have been far more comfortable in yoga or exercise pants underneath the all-weather fishing gear. Also, when we returned to the lodge in the evening, I would have been more comfortable lounging in similar pants than jeans, although the jeans did work out fine. I could have also done with a casual dress which I would have worn in the evenings for dinner. The lodge life is very casual, but it’s always nice to slip into something pretty for a meal. By dressing in layers while out fishing I was plenty warm! The other item I should have brought more of was socks. I brought one pair for each day and for the days I was fishing, I would have preferred to have put on a fresh pair at the end of the day. Those neoprene boots keep your feet warm but they were damp (sweat?) by the end of a long day of fishing! I would recommend 2 pairs per day. This is probably the most important thing to pack! Despite all my best efforts of bringing my faithful PSI band and my new favorite ginger candy, we ended up needing Dramamine as well. The best thing to do is start taking it a day or 2 before you actually start fishing and to continue taking it day and night until your trip is over. I don’t like taking medicines if I can avoid it, but I think there is no way to avoid it in this case, it is the nature of being on a small boat in the open sea. 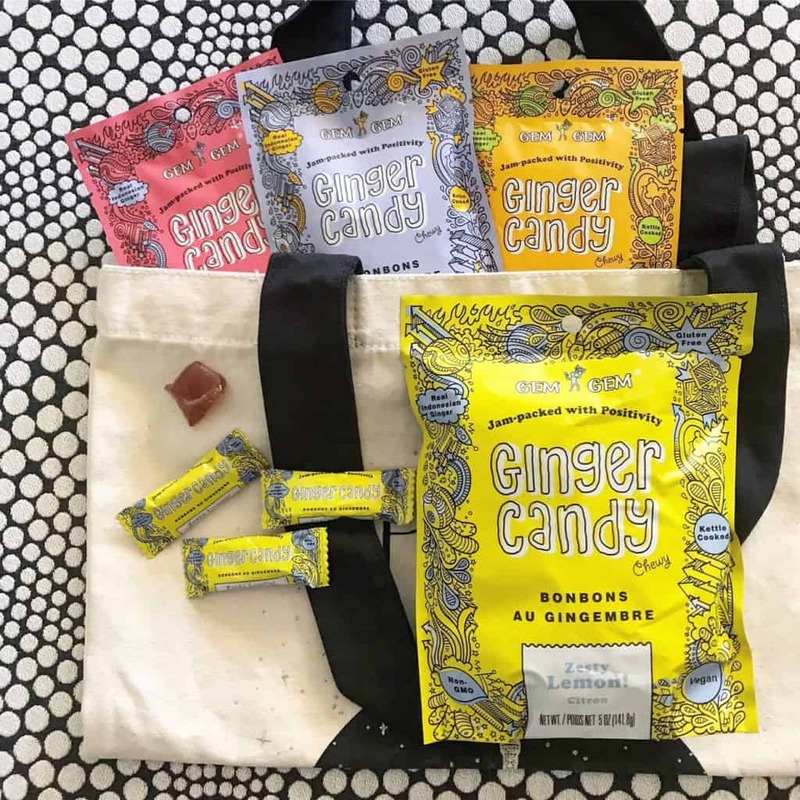 Natural remedies like ginger can and do help some people, it is just impossible to know if you are going to be susceptible to seasickness until you’ve done Alaskan fishing at least once. So that’s it! 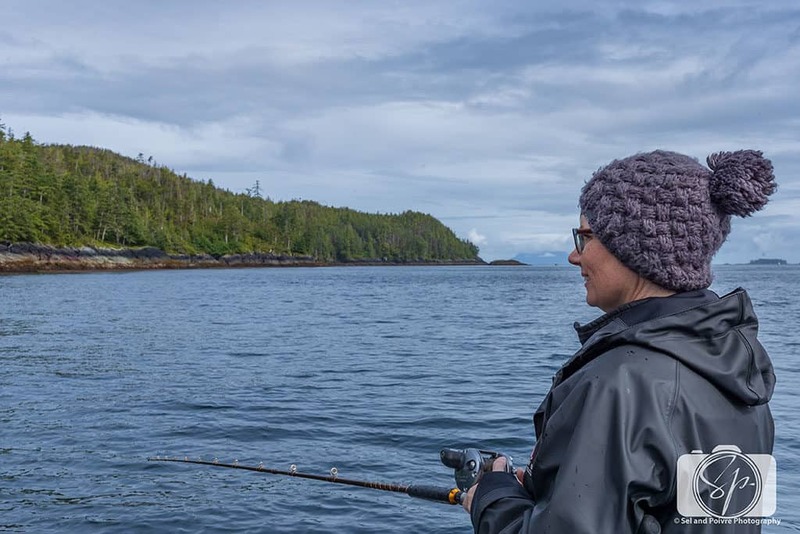 What I think you should pack for an Alaskan fishing trip based on my trip to Steamboat Bay Fishing Club in Southeast Alaska. How about you? Have you fished in Alaska? 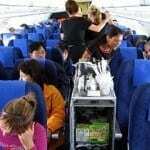 Do you have other suggestions for how to pack or what to pack? Do share! I definitely have not fished in Alaska, but you make it look like a really fun adventure. Alaska is beautiful! I would LOVE to go on a fishing trip to Alaska. I’ve been there on a cruise, but I’d really love an up close and personal experience. I haven’t been to Alaska, but my cousin lives out there, and her parents go on fishing trips with her all the time. It definitely sounds like an adventure! Good to know! I’d love to go to Alaska one day. Fishing isn’t my favorite thing though, but I could probably do it for 30 minutes before wanting to leave. If anything, I’d take in the scenery! NEVER FISHED IN ALASKA but I do love ALASKAN SALMON!!!!! I sometimes order it from Alaska fresh off the boat! I am so envious of your fishing trip! I bet your catch was DELICIOUS!!! These are wonderful tips! Look at how much you caught! Man, that could feed a lot of people! My husband and boys have really gotten into fishing lately. Its fun to see them catch stuff in lakes. We haven’t ocean fished yet. My son loves to go fishing. A trip like this in Alaska would be a dream come true for him. My father would love things like this. He loves fishing and would be great to experience the Alaskan fishing trip one day. I have never been in Alaska nor doing any fishing activity but the place looks really beautiful and fishing looks like a lot of fun to do. My husband has been wanting to go to Alaska. I’ll be keeping this in mind. Hopefully one day we’ll be able to go. My girls love fishing, so they’d love it there I”m sure. I am so excited to go there next month! IT looks like it is going to be a totally blast! I would love to go to Alaska someday and a fishing trip sounds like an added bonus. Great information shared here! 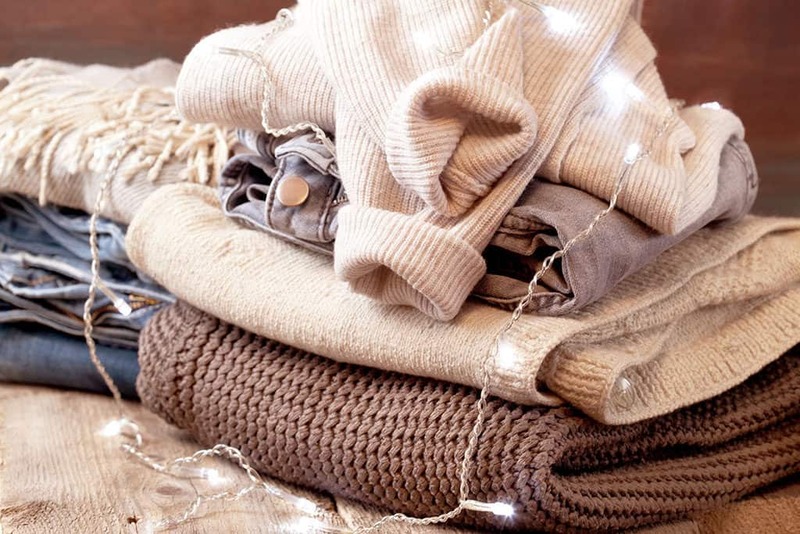 Your pictures of your “layers” looks so cozy. I would wear it all! 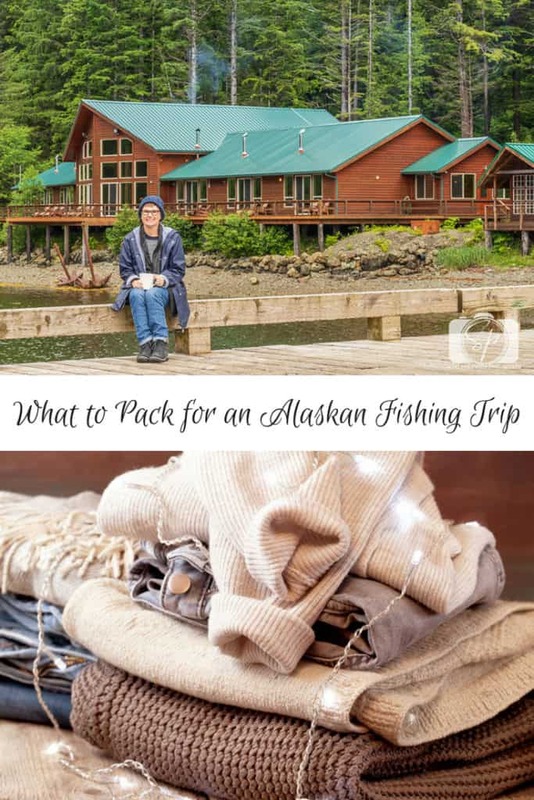 I would love to visit Alaska one day – thank you so much for sharing what we should pack for an Alaskan fishing trip. Hi. Great vacation with fishing! I also really love fishing. I have never been in Alaska, it seems breathable scenes. Your sharing for Packing for an Alaskan Fishing Trip would be very helpful and fulfill my next fishing vacation.